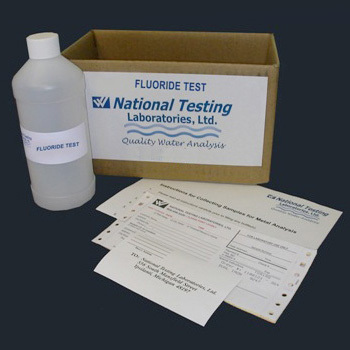 WaterCheck Fluoride Water Quality test kit by National Testing Laboratories will test for fluoride in drinking water. Fluoride can occur naturally in groundwater and can also be added by municipalities and water companies. 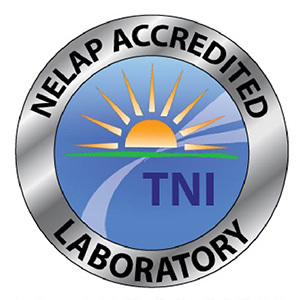 FilterWater.com has partnered with NTL to offer this fast and accurate test. The purchase includes the test kit, the laboratory analysis and the lab water quality report. You are responsible for shipment and shipping cost of the kit to Michigan. Tests take about 5-7 business days. Laboratory Fluoride Test - Why? Fluoride can be naturally occurring in groundwater, but is commonly added to municipal water supplies (city water) to aid in the prevention of tooth decay. Water Fluoridation is controversial and has limited cases showing its benefits. Fluoride in water is restricted by all european countries. This water test gives you a choice to know how much fluoride is in your drinking water. 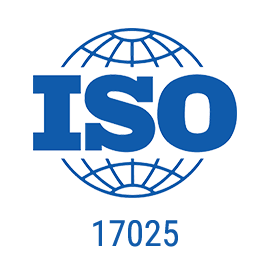 Samples must be shipped guaranteed next day delivery. Do not collect and ship your water on Friday, Saturday, or the day before a national holiday. 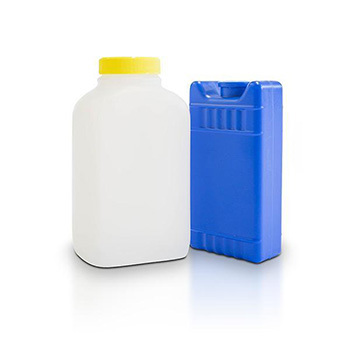 Ship your kit to National Testing Laboratories on the same day water is collected. Don't forget to write down tracking number to verify your package reaches the lab on time.